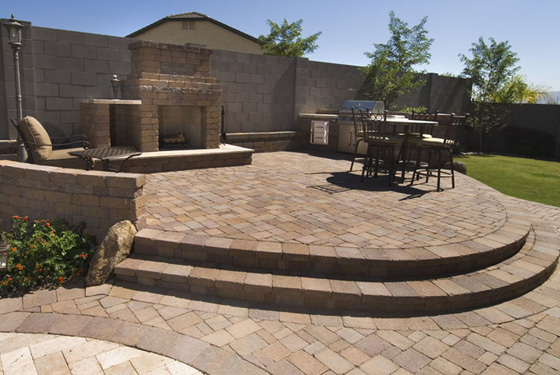 The Arizona weather allows us to spend a lot of our time outdoors so our patios have become outdoor rooms where we entertain our friends and family. 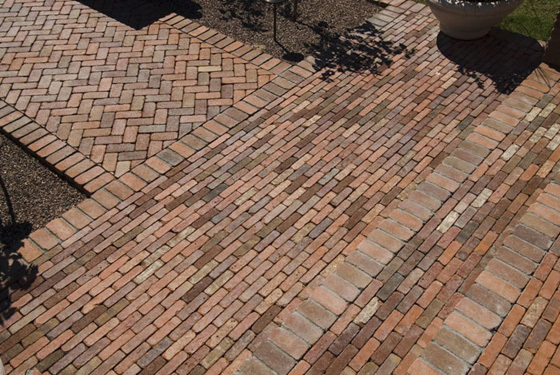 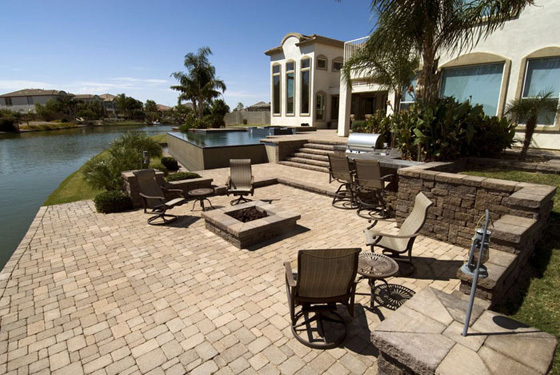 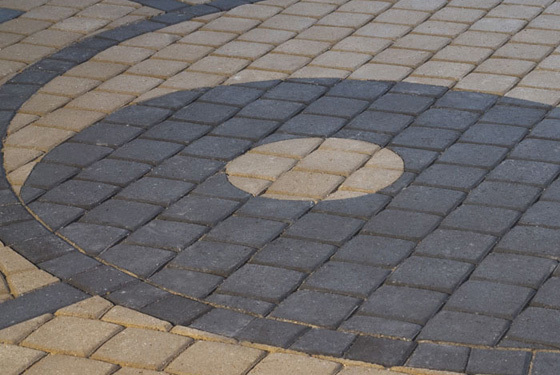 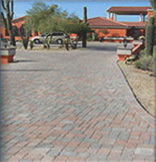 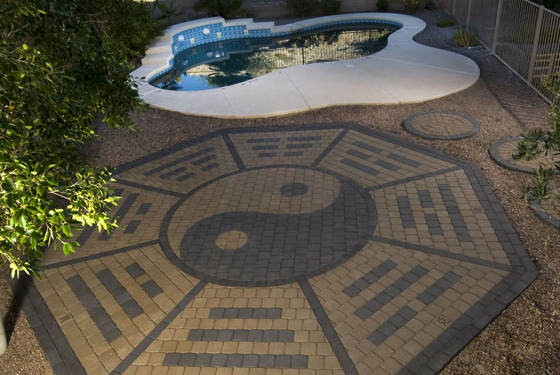 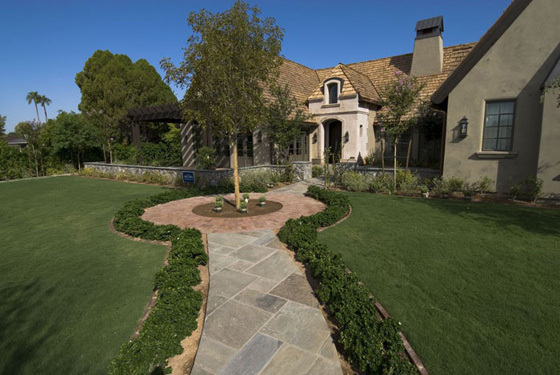 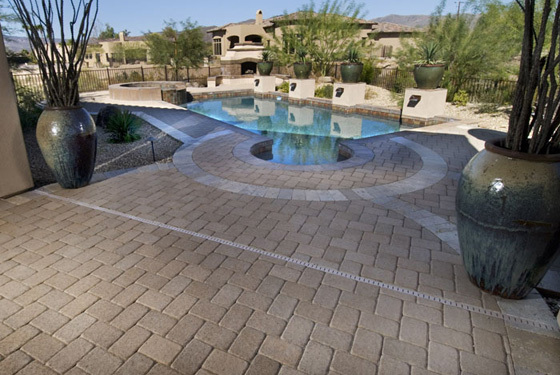 With the large array of pavers available you no longer have to settle for a gray concrete patio. 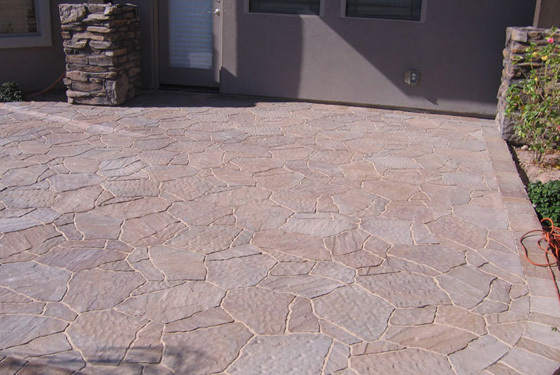 We have veneer pavers that go over the existing concrete so very often you don’t even have to remove the existing concrete. 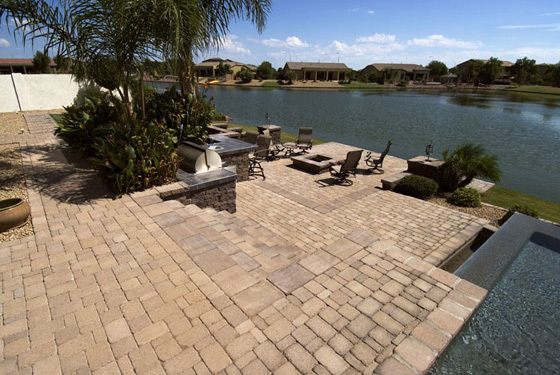 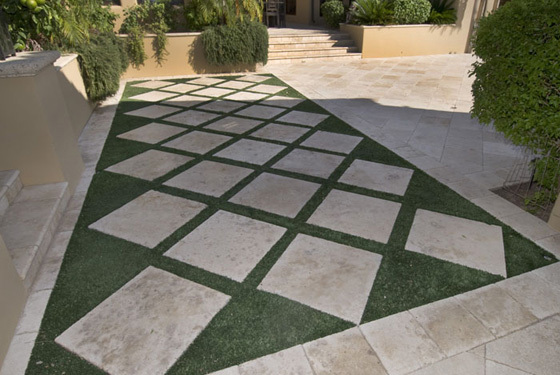 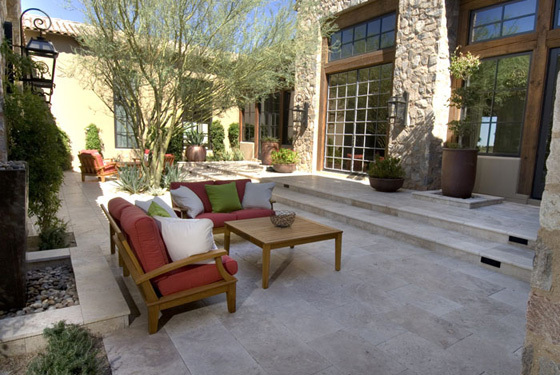 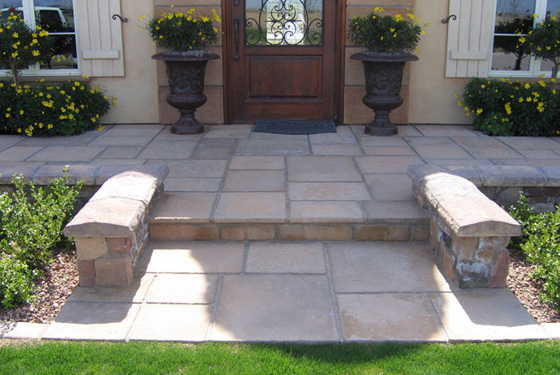 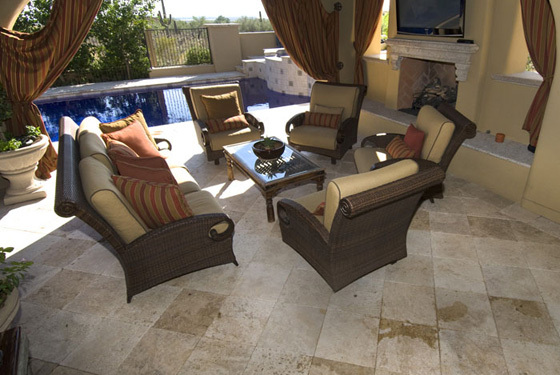 You can use Artistic Pavers or Travertine pavers that are lighter colored and much cooler to walk on than concrete. 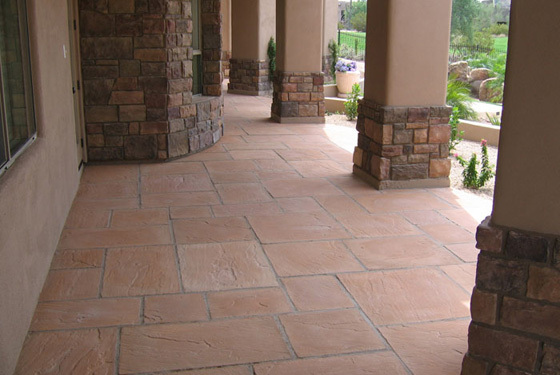 A patio is now not only just what is on the floor. 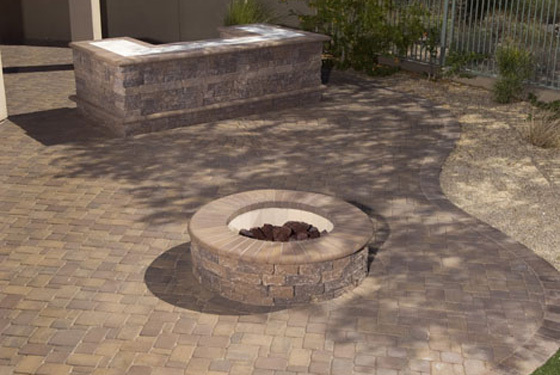 Barbecues, fireplaces, fire pits and full kitchens can be designed in combination with pavers just as you would any other room in your house. 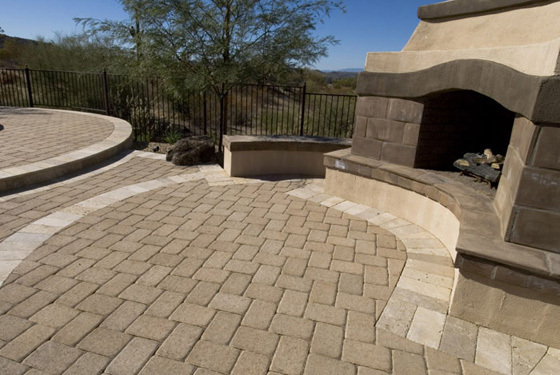 Stone Creations has the knowledge, experience and the professional craftsmen available that we can turn your dreams into reality. 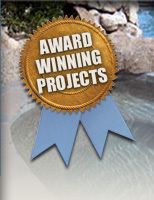 We are very proud of the work that we do and we guarantee you will not regret choosing us.